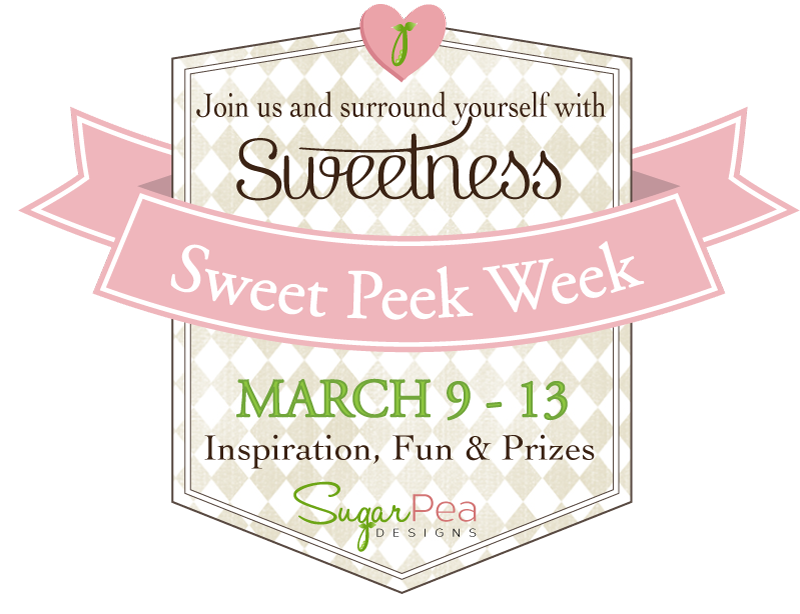 It's the last day of Sweet Peeks...and it's SHOPPING DAY! 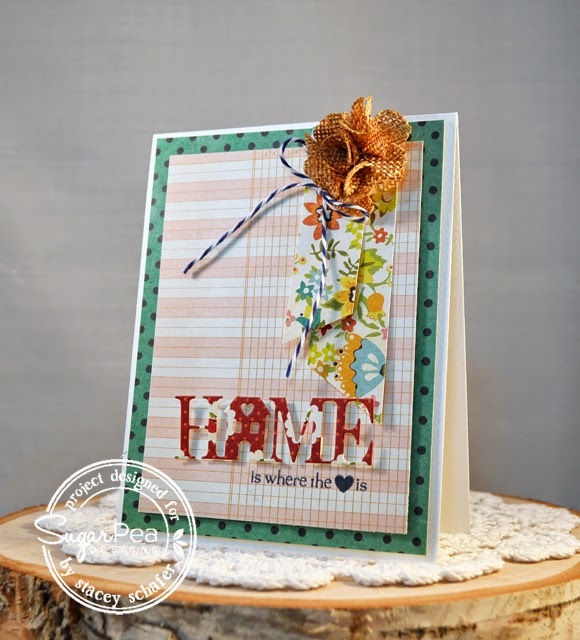 The two new release products that we are showing off today..the Sweet Sentiments - Home stamp set and SugarCuts - Home Sweet Home. The entire March Product Release will be available for purchase in the SugarPea Designs Store TODAY at 6:00 PM EST! We would love to hear your thoughts on the products introduced today!! Please leave a comment on this post and on each of the talented SugarPea Designers shown below and you could WIN! We will chose one lucky person to WIN the Home stamp set from the comments left here and on the DT Blogs! All winners during our March Product Release will be announced on Sunday, March 15th. Our entire March Release will be available in the SugarPea Designs Store at 6:00 PM EST TODAY!! Please click here to shop – and if you are lucky enough to win a set you’ve already purchased, you may choose another stamp set of the same value! 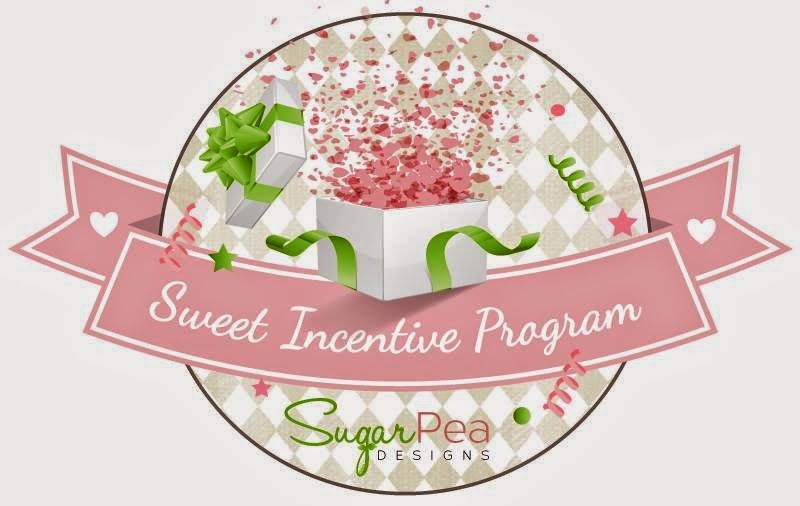 Check out this new stamp set for the Sweet Incentive Program, too! 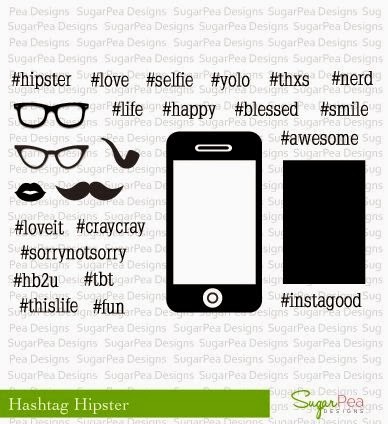 Hashtag Hipster will not be available for purchase until May, but it is FREE with your $60 purchase during the months of March and April! 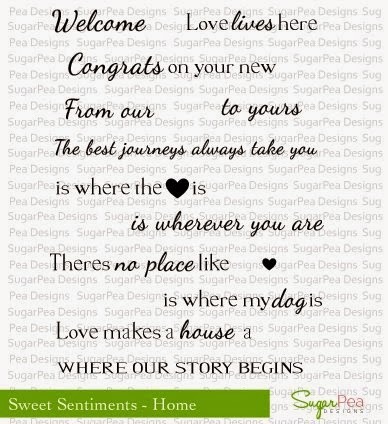 I LOVE this saying, "Home is Where the Heart Is..." SO TRUE! After a long day, what is better than home?! 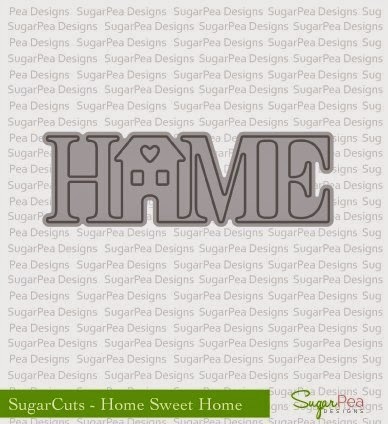 I created this card to show off that awesome new SugarCuts - Home Sweet Home...and the new Sweet Sentiments - Home are perfect to add to your sentimental projects. This is my favorite card. It's adorable and I love the die. I like the mix of papers and the burlap flower. 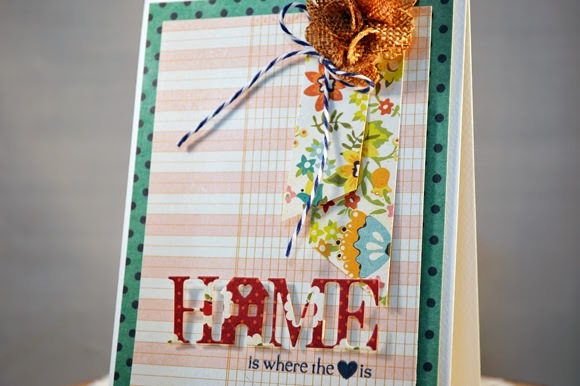 Such a pretty card - I love the diecut HOME and the burlap accent. Definitely makes me think of home when I see your card. great texture and interest on this pretty card. Love this!!!! Love the layout and the papers! Such a great die! Hi Stacey. I love your taveling hubby story as much as your card and I know your husband will too! Nice job. Sweet card, I like how you layered and designed the flower area! Great idea to have cards to put in your husband's luggage. He can display it in his room and have a constant reminder of you and the family. I love your card. Great colours and layers. I love that die! And your busy little card, too! Looks great! Love the combination of papers you used! Your day five card is beautiful. I love all the details. Thank you for a week of fun projects! This card is gorgeous! Love the pretty patterned papers and those banners are awesome! Another stunning card! Love your papers and this great layout. And that flower at the top is fabulous! This is a really nice card. You've done a great job. Nice card, love it, love it! Love it!!! Fantastic use of pattern paper! !